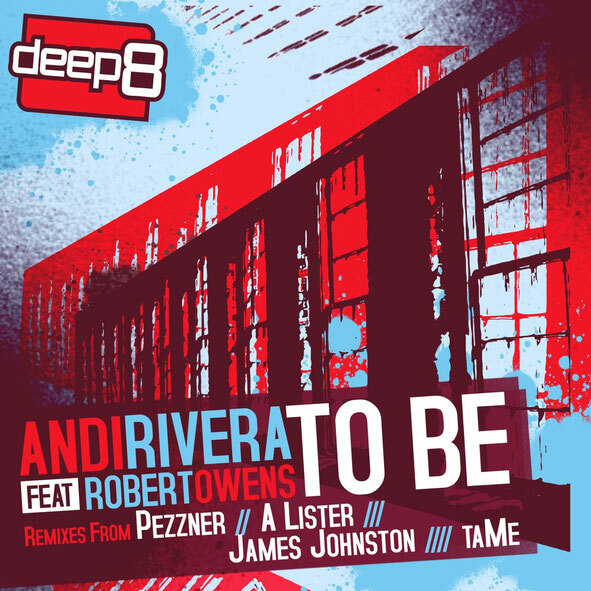 Deep 8 Recordings is a brand new UK label intent on offering high quality house releases and its inaugural release comes from Andi Rivera and features the Robert Owens on vocal duty. A selection of remixes comes from Pezzner, A Lister, James Johnston and taMe. In original form the single is classic house with a bassline straight out of ‘90s New York, with an emotive vocal, the percussion squelches along, taking you with it every step of the way. Seattle based deep houser Pezzner tackles the first remix and flips the track into something much more suited for late night back rooms. Owens’ vocal becomes a distant murmur and sensuous, liquid synths instead take centre stage. Next up is A Lister, a 24-year-old house producer and DJ from Bradford. His version is full on vibey, bouncy and bold with neon chord stabs, funky percussion and only the slightest vocal coos from Owens. James Johnston, previously of labels like Black Key and No Matter What, then reworks the track into something that skips and skims with a jazzy old school energy similar to that of Kerri Chandler. Finally, the taMe remix is a fusion of garage skip, house warmth and bass heaviness. It’s out today.